In July, we caught this monster freshwater Drum also known as Sheephead in Picton Bay while casting for Walleye and Bass. The Sheephead give a tremendous fight and usually scare customers because they mistake them for Carp. These fish are actually pretty delicious to eat but not at this size. These monsters weighed 15 and 16 pounds. These two could barely fit in the live well but we managed to bring them in safely for a photo opportunity and then they were released. 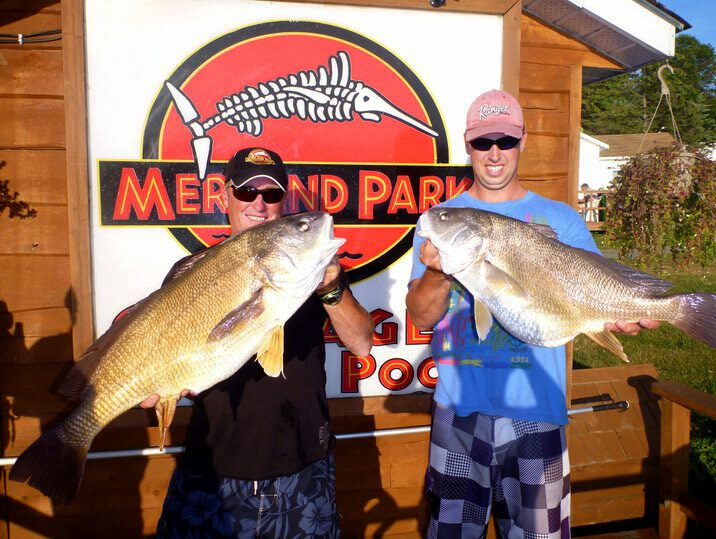 Home > Fishing Reports > Monster Sheepheads caught casting!